In this post: You will learn about different types of financial advisors, read about my recent Investopedia Advisor Insights, and I will give my Weekly Market Recap. 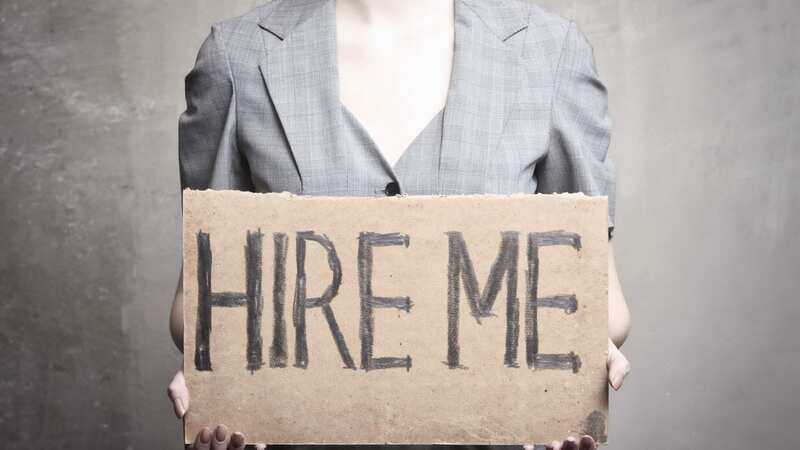 So, you want to hire a financial advisor… They are all the same right?! Financial Advisors are NOT created equally. Today I would like to outline 3 distinct groups of financial advisors and explain the differences in each business model, allowing you to decide what type of advisor is right for you. The first group of financial advisors that we will look at is probably the most common, and maybe the type of advisor you are most familiar with. You invest $100,000 into an A-Share Mutual Fund with a sales charge of 5%. The initial amount that actually gets invested is $95,000. So, what happened to the other $5,000? Well… it went to the mutual fund company, which then pays the brokerage firm the commission percentage and then a portion goes to the financial advisor, who sold you the product. If you are following along, you are probably realizing that your hard earned money is starting in the investment down 5% from the very beginning, thus taking more time in the market to even get back to the original $100,000 investment you wanted to put to work in the first place. You went to this financial advisor to make money not lose it, right?! How is this practice legal? Well, series 7 licensed, commission-based advisors are only bound by regulators to make sure the investment is “suitable” for the investor. To find out more about suitability you may click here, to go to the Financial Industry Regulatory Authority website. At its basis, a product can be sold to an investor if the product is suitable based upon the information collected prior to the sale. There is no financial planning done prior to selling a product in this model. There are inherent conflicts of interest in this model. The advisor is compensated directly from the mutual fund or insurance company for promoting their products. The advisor may have multiple products that are suitable for the client but may sell the product that pays the highest commission. This type of advisor wears “two hats” when they work with clients and must be very clear about which hat they are wearing when working with the client. The first way this advisor may work with clients is a commission based, product sales type of relationship. I will not expand on this anymore as it is the same as outlined above. The second way a hybrid advisor may work with clients is through a fee-based relationship. These advisors may offer financial planning and investment management for a fee. There are a growing number of hybrid advisors out there now. These advisors generate a large amount of their revenue from selling products and collecting commissions, however, consumers are getting smarter about the financial industry and they do not want to be “sold” products. So, a hybrid advisor will tend to work with you in the way that you would like to be engaged. 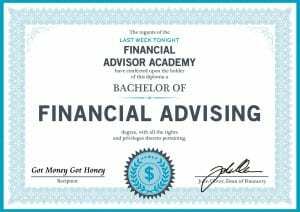 These advisors may charge you an annual financial planning fee to produce a plan that will show you the strategies to reach your financial goals. In addition, they will sell the products recommended in the plan to you and collect the commissions. You go to a hybrid advisor requesting a financial planning module to be performed for your retirement. The advisor charges you $1,500 upfront (in which you write a personal check), they then collect your financial info, generate the plan, and present the strategies to get you to your retirement goal. So far the advisor is operating as a fiduciary and all is above board. You as the consumer now need to implement the strategies that are outlined in the financial plan. As a novice investor, you ask the advisor for his suggestions in implementing the plan. It is now up to the advisor to choose which “hat” they will wear when presenting investment solutions to you. They must disclose to you how they get compensated for every product they recommend. If they are compensated by commissions, then a potential conflict of interest exists. They may recommend a portfolio in which they will charge you a percentage fee for the assets they will manage. This fee structure may look like they are acting as a fiduciary, however, it depends on what assets are held in the portfolio. For instance, if the recommended portfolio is constructed of mutual funds that are proprietary or from a subsidiary mutual fund company, then they cannot be acting as a fiduciary. As you can see, in this model there are still conflicts of interest. Meanwhile, you as a consumer may be under the misconception that this type of advisor is acting as a fiduciary. The fact of the matter is you may be the subject of the good ol’ bait and switch. The advisor is compensated not only by the client directly but also receives commissions on products like mutual funds, stocks, annuities, and insurance. Remember this advisor must be clear in the capacity that they work with clients, as it may be with fiduciary care or simply by the suitability standard. Fee-only advisors are Fiduciaries. POINT BLANK. All compensation that this type of advisor receives comes directly from the client themselves. They are typically independent business owners or work for an independent firm. In order to have the moniker “fee-only”, advisors must not accept commissions and must swear by the fiduciary oath, which can be viewed by clicking here. This means you can engage with a financial advisor knowing that they will put your best interests first. This type of financial advisor will avoid all conflicts of interest. If for some reason a conflict arises the financial advisor is required to remove the conflict, or if the conflict cannot be removed, the advisor should terminate the engagement with the client. Fee-only advisors can work with their clients’ financial planning needs in many ways. Many of these advisors offer investment management services in addition to financial planning. When working with clients to determine what investments are used, the fee-only advisor can look at the full spectrum of investment options and select the absolute best for the client without being beholden to any type of product or any one company. Fee-only advisors are gaining popularity with consumers as the public has become more aware of the financial industry practices. The national conversation surrounding the Department of Labor Fiduciary Rule has brought to light the need for more fiduciary care standards to protect consumers when they invest for retirement. As you can see, there are many different types of financial advisors and the one you choose to work with could make all the difference when it comes to reaching your financial goals. So, ask a lot of questions when you engage with a financial advisor. Know how they are compensated. Ask if they are a fiduciary. Do your due diligence to have the peace of mind knowing you are being taken care of, not being taken to the cleaners! My firm, Millennial Wealth Management, LLC is a fee-only financial planning firm. We specialize in the financial planning and investment management needs of Millennials. Let us know if we can help! Financial advisors seem more focused on planning for the older generation. Why do you think that’s the case? This is the case for many reasons as the other advisors have pointed out. One of the things to look at is how financial advisors are paid. The great majority of financial advisors are commission-based, meaning they need to sell you a product to make a living. Think about it like this, if you were a 55-year-old financial advisor working on commission, and you had to sell a product that has a 5% sales charge, would you want to sell to a person who has $10,000 to invest or $1,000,000? The person with $10,000 may be younger and just starting to build wealth, while the individual with $1,000,000 may be around the advisor’s age and ready to retire soon. So, not only will the advisor make more money off the $1,000,000 client, but they will probably have more in common, thus building a better relationship. What’s the best way for a 20-year-old to invest $5,000? I would like to invest $5,000. If invested, I would plan not to touch that money until age 35. I want to put the money away and sort of “forget” about it while I go through the next 15 years of my life. I would like to have all profits reinvested during that time. I am considering the S&P 500. Is this my best option? This is a great question! The best place to put your money depends on a lot of different factors. If you have any debts that have interest rates in excess of 10%, you should highly consider paying them off. This is the easiest way for you to earn a guaranteed rate of return. If you are debt free, you may want to start investing in a retirement account. If you are employed and your employer is offering you a match, then you should contribute at least enough to get your full match. If they do not offer a match, then you may want to fund an IRA. However, if you are planning on needing the money at age 35, then a retirement account would not be a great option due to penalties and taxes. A brokerage account is always an option if you are needing access. As you can see, we really need more information about your situation to know what is best. Generally, I would say a diversified portfolio of stock-based ETFs would be a great start to put your money to work. Can an Index Fund be considered an equity? I know some stocks are considered equities. Can index funds or ETFs be considered equities as well? Equity is a stock or any security representing an ownership interest. So stocks = equities. Meaning, if you invest in an index fund or ETF that tracks a stock index, like the S&P 500, then you are an equity investor. If you buy an index fund or ETF that tracks a bond index, then you are a fixed-income investor.